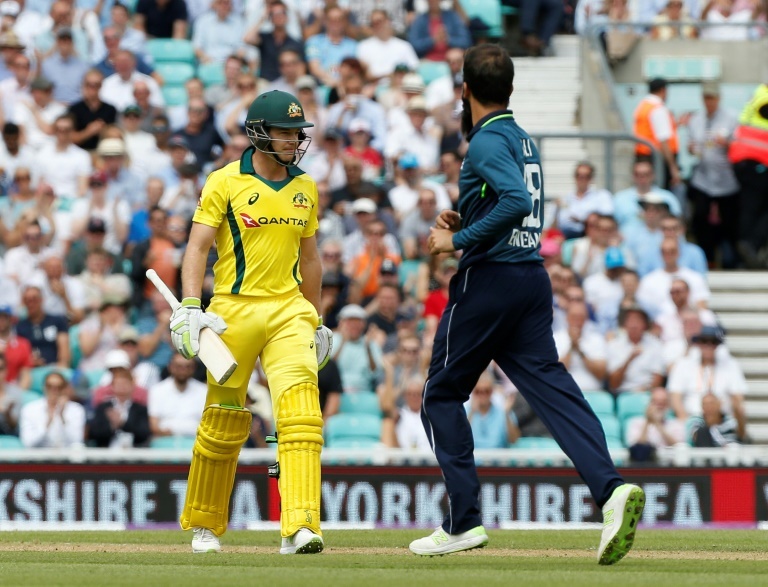 David Willey’s unbeaten 35 saw England to a nervous three-wicket victory over Australia at The Oval on Wednesday as the top-ranked side in one-day international cricket returned to winning ways after their shock defeat by Scotland. England, set just 215 to win, slumped to 38 for three. They were cruising to victory during a stand of 115 between Test captain Joe Root (50) and one-day skipper Eoin Morgan (69) under the floodlights. However, both batsmen were dismissed as England lost three wickets for 10 runs. But Willey, whose score was his highest for England, ended the match with six overs left when he drove Australia debutant medium-pacer Michael Neser for six. It was England’s spinners who laid the platform for a much-needed victory following a stunning six-run defeat by non-Test nation Scotland in Edinburgh on Sunday. Off-spinner Moeen Ali, the man-of-the-match, took three for 43 in 10 overs and leg-spinner Adil Rashid two for 36 after Australia captain Tim Paine won the toss. “Like I said up in Scotland, I think we were better for playing that game-it kicked us in to touch a little bit and hone our skills-and we certainly took the lesson from it,” explained Morgan. “The two spinners, when they came on, it really did turn the game in our favour,” he added. Glenn Maxwell (62) and Ashton Agar (40) were the only Australia batsmen to offer much resistance during a sixth-wicket stand of 84. Paine said Australia’s specialist batsmen had let the side down. “You win one-day games by your top four or five getting the job done,” the wicket-keeper explained. This was Australia’s first international series since their tour of South Africa saw former captain Steve Smith and his deputy David Warner-two of the world’s leading batsmen-given year-long bans by Cricket Australia for their roles in the ball-tampering scandal during the third Test in Cape Town in March. Top-order batsman Cameron Bancroft, who applied sandpaper to the ball, was given a nine-month ban. As well as Smith and Warner, Australia were also without their injured Ashes-winning fast-bowling trio of Mitchell Starc, Pat Cummins and Josh Hazlewood. But Billy Stanlake gave Australia hope of victory when his second ball of England’s reply cut back sharply to bowl Jason Roy for a duck on his Surrey home ground. Root and Morgan repaired the early damage but neither batsman was there at the finish. Morgan’s 71-ball innings ended when he was caught behind off Andrew Tye, with Root guiding Stanlake to Paine as he opened the face. Ali holed out before Willey, the son of former England batsman David Willey, and Liam Plunkett held their nerve in an unbroken stand of 21. This match had started with Australia, after complaints about verbal abuse, shaking hands with their England counterparts in a move instigated by Paine. A company tried to cash in on Australia’s discomfort by offering spectators sandpaper on their way into The Oval, although stewards tried to confiscate the ‘ambush marketing’ material. But the only significant ‘sledging’ involved former Australia coach Darren Lehmann, who resigned in South Africa, tweeting to English cricket commentator Alison Mitchell “Your (sic) better than that” after she posted a picture of sandpaper being offered to fans. World champions Australia had lost their last three ODI series-a sequence that included a 4-1 loss at home to England in January. England, the 2019 World Cup hosts, struggled for early wickets in their stunning defeat by Scotland. But they reduced Australia to 90 for five inside 20 overs, Ali taking two for three in eight balls to dismiss Aaron Finch and Shaun Marsh as the tourists again struggled against spin as they had done in warm-up wins over Sussex and Middlesex. Not even Maxwell, with his first ODI fifty in 10 innings and Agar could turn the innings around after such a poor start. The series continues in Cardiff on Saturday.